I can not find motivation for today. I’m suppose to be leaving for the airport in 5 hours and I’m not packed, I don’t have my daughter packed, still need to finish up some of my house work and for sure the dishes at the very least, but I just don’t want to. Don’t get me wrong, I’m so excited to go on this trip and spend a well needed break on the beach sunbathing, but man I need some caffeine or something to get me going. No doubt I’m probably going to have a panic attack right before I’m suppose to leave and wonder why I put all of it off till the last minute, but for now, I’m going to just relax in my sheer procrastination. 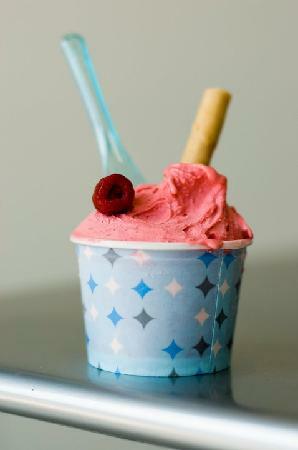 Random question, but have you had gelato? I’ve had gelato before. Never was really a fan. Yeah it was good. Not amazing but good. Honestly though, if I’m going to have a cold dessert, give me ice cream. Not this weird sorbet stuff. Oh my gosh, I don’t feel that way anymore!! I’m just gonna come clean and say it. 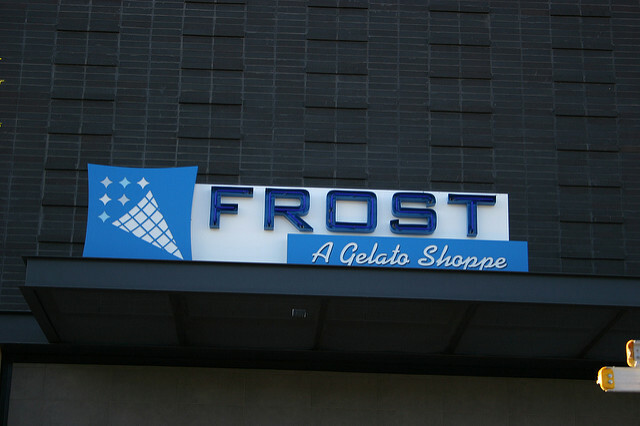 I am a Frost addict. The problem started about a year ago, and I fear I will never recover. Seriously!! You peeps in Phoenix, Chicago, Tucson, Albuquerque. Make it a priority. Schedule it in your day-planner, and go. But be prepared. Your life will never be the same. Quick Tip: Make sure to read though this recipe before preparing. I put the Amaretto Cream Cheese Frosting together in 2 separate steps, because you have to let sauce mixture cool to room temperature before adding it to the softened cream cheese. P.S. I am completely aware that “peeps”and “gonna” is not grammatically correct. Please do not leave me a comment about it. I did it on purpose. Thanks! Start making frosting by combining Amaretto, butter, water, sugar, and extracts in a medium saucepan and heat over medium heat. Stir until butter is melted, and mixture comes to a bubble. Let bubble for about a minute. 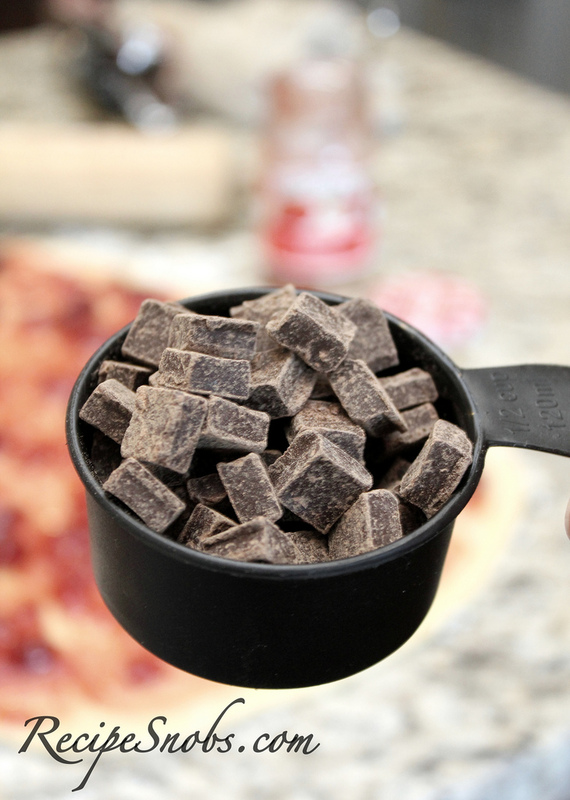 Add dark chocolate chips and stir until chocolate has completely melted and sauce is smooth. Set aside, and let cool to room temperature, for about an hour while you make dough. Start on dough by combining butter, 2 tbsp. sugar, milk and water in a microwave safe bowl. Heat in microwave for 30 second intervals until butter is almost melted completely. Stir mixture to help butter to finish melting and set aside to allow mixture to cool for about 5 minutes. After mixture has cooled slightly, add yeast and stir to incorporate into butter mixture. Set aside. In mixer, add 3 cups flour and remaining 1/4 cup sugar. Seriously, what is it about falling sugar that I love so much? Stir yeast mixture and add to flour mixture. Also add beaten eggs and extracts. Mix on low speed until dough starts to come together. Slowly add remaining 1/2 cup flour as needed if dough seem too sticky. Just until dough starts to ball up. Lightly flour flat surface and roll dough onto flour. Lightly flour top of dough and hands. Knead dough for a couple minutes until dough feels evenly textured throughout. Place dough in a buttered or greased bowl and roll dough to coat surface. Cover loosely with plastic wrap and place in a warm place to rise for about an hour and a half or until dough has doubled in size. While dough is rising place cream cheese in mixing bowl and beat until smooth. 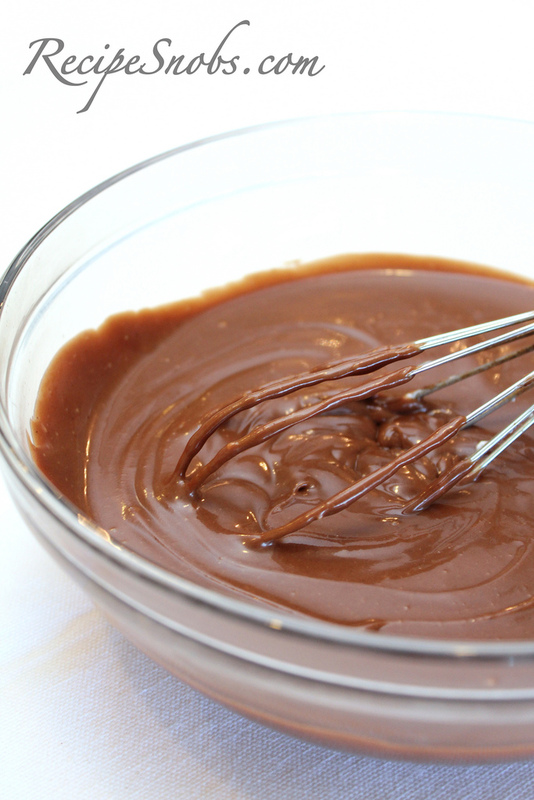 Add cooled chocolate frosting mixture and beat until mixture is completely incorporated and smooth. Cover with plastic wrap and place in refrigerator until rolls are finished. After dough has risen, roll out on a floured surface. Roll dough about 12 inches wide by 18 inches long. Evenly spread cherry preserve onto dough surface. Sprinkle dark chocolate chunks evenly over cherry preserve layer. 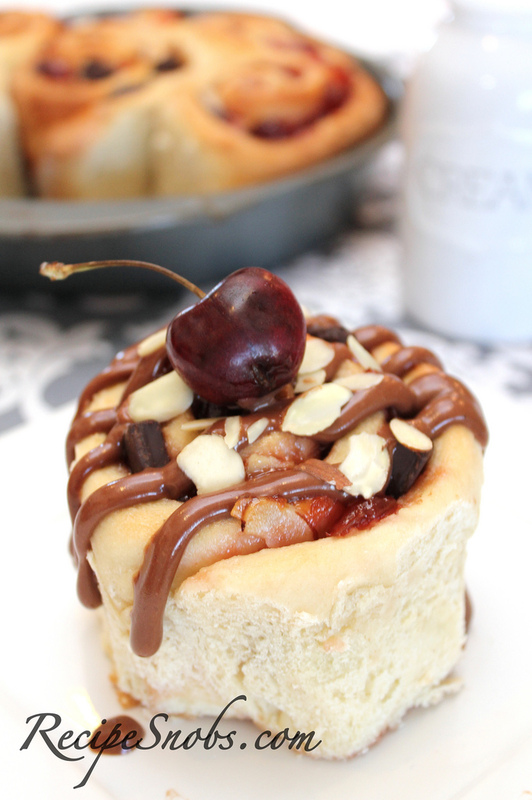 Finish rolls center by sprinkling sliced almonds evenly over cherry and chocolate chunk layer. 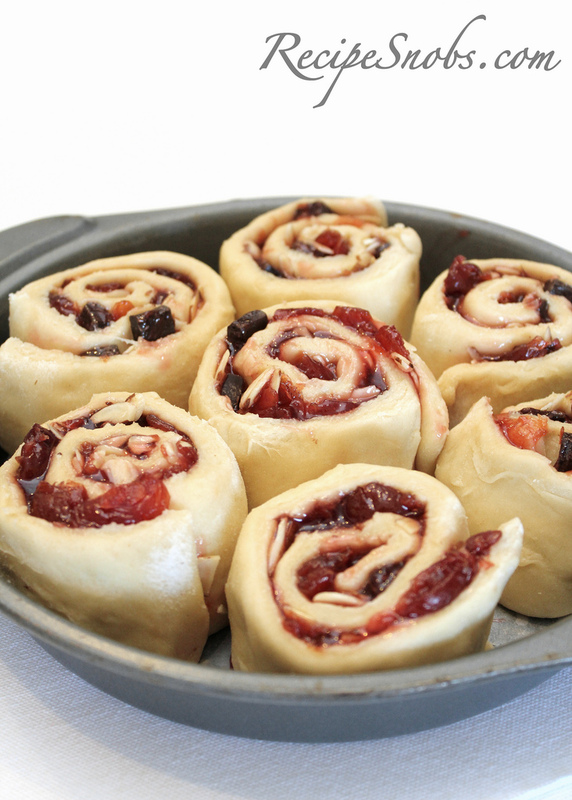 Roll dough over cherry layer longways until dough has completely enclosed cherry center. Using unflavored dental floss, cut dough about every 2 1/2 inches to create 7 rolls (discard ends). Place in a 9 inch round cake pan and cover loosely with plastic wrap. Set in a warm place to rise again for about 30 minutes. Preheat oven to 350 degrees and cook rolls for 30 to 35 minutes. Set pan on cooling rack until rolls have cooled slightly and frost with Amaretto Cream Cheese Frosting. Garnish as desired and serve. « Three C Stuffies » 4th of July Line Up!! !